I received this from my friend Keith aka @webdivemaster. It's a pretty funny look into how predictable Syfy's saturday night movies are. 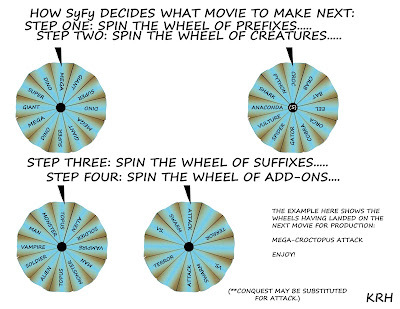 They just have to spin the wheels and see which movie to make.